At the end of the year I like to look back at my projects and share some of my favorite ones with you! I hope while you are here you gather some inspiration to tackle your own home projects in 2017. 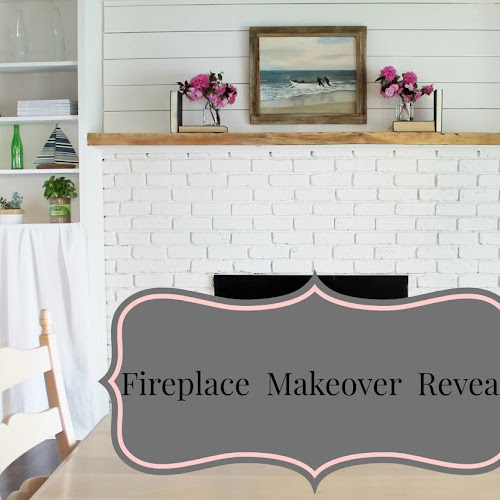 My fireplace makeover with shiplap is one of the project's that I am most proud of! Check out the before photos, and the step by step tutorial on how I achieved this look! For this simple project I used two tin cans to make a farmhouse style vase! 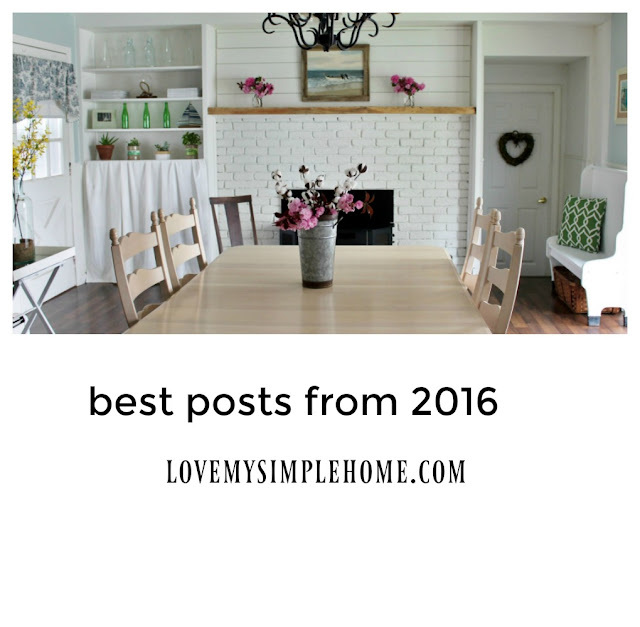 Last January I shared tips on how to use white wicker furniture inside your home. In this post I shared how to use fabric on the wall and a simple tip for keeping the fabric in place. I love experimenting with paint! In June I shared my technique on how to get the look of driftwood. One of my favorite things to do is repurpose! Love My Simple Home has a ton of repurposed projects! My favorite one is this desk! I hope I inspired you to tackle some of your own projects! Thank you Linda! Our fireplace is the focal point in the dining room, I am so happy with how it turned out. This was one of those projects that we kept putting off. Julie, I love all of your favorites from the year. Your fireplace makeover is stunning! Happy New Year! Thank you so much Cecilia! Wishing you a happy new year!